Be the first to get your hands on Seth’s new record “The Next Right Thing” before it hits the stores. From now until Dec. 19th you can pre-order your copy here. All orders will be shipping in time for the holidays and weeks before the album is available at any store. This was our 2nd Facebook band page design. Integrated into the design are two Top Spin widgets (Music Player & Download). 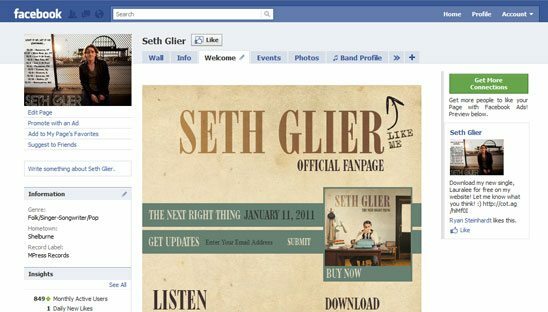 Design for both Facebook and twitter are based off CD artwork.